Few things in life are less surprising than the fact that The Roots once partnered with John Legend on an album. It was an musical pairing with all the adventurousness of ketchup-on-fries- experiment. 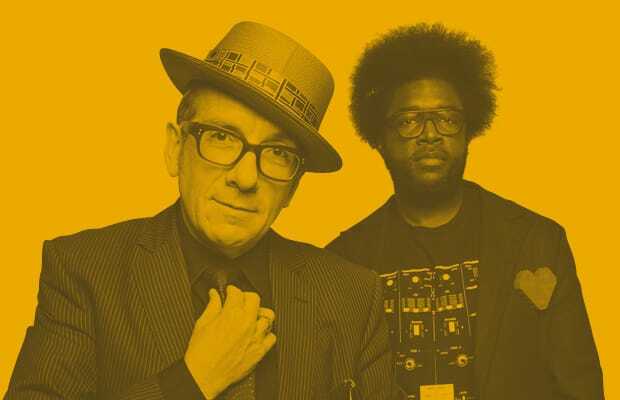 Much more intriguing is the prospect of Wise Up Ghost, the collaborative album the world's premier rap band made with Elvis Costello, which drops today. Who knows what the hell this audio-Sharknado is going to sound like? The Roots were on that soundtrack too, though, and they emerged unscathed because their song with electro producer BT is a testament to their mutability. Here are 10 other non hip-hop artists the venerable band should consider making albums with, to push the boundaries of their shape-shifting ever further. RELATED: Kanye West Performs "Bound 2" With Charlie Wilson and The Roots on "Late Night With Jimmy Fallon"